Tisdale on SST correlation with AGW | Watts Up With That? July 10, 2011 in ENSO, Sea Surface Temperature. Bob, have you looked at how they tune the SST satellites? What is the time lag between ocean heat content changes due to the solar variability and the subsequent re-distribution of energy through the ENSO events, and the then measured impact on global air temperatures ? I’ve never seen it your question addressed in a paper. An incease in Downward Shortwave Radiation from a La Nina event provides the fuel for the next El Nino. Example: Due to unusually strong trade winds over the western tropical Pacific, the 1995/96 La Nina provided a substantial increase in tropical Pacific OHC. That inreased in Tropical Pacific OHC fueled the 1997/98 “El Nino of the Century.” So the lag was less than two years. Keep in mind the solar cycle was at a minumum while the OHC rose in 1995/96. Latitude says: “Bob, have you looked at how they tune the SST satellites? Satellite-based SST data has a lower trend than buoy- and ship-based data. If the sun goes “quiet” for an extended period (several decades at least) then would it be reasonable to assume that the radiative driver would favor La Nina episodes and that the step-wise graph would continue, but with the opposite slope? TSI is a cyclical event that should not by itself change SST’s in any way that is measurable. There would be no lag to see. The trade winds and weather pattern cloud variations will greatly affect how much of that TSI gets into the ocean layers or gets mixed between the top solar warmed layer and the colder deeper level. The ocean is a denialist? Be still my heart! Figures 3 and 4 appear to show no trend outside of the steps that appear to be linked to El Nino events. But you don’t attempt to explain where the additional energy comes from that triggers the step changes. Just because the supposed CO2 forcing is constantly increasing doesn’t mean that the climate system has to respond in the same manner. So returning to the question “Does The Sea Surface Temperature Record Support The Hypothesis Of Anthropogenic Global Warming?” then the answer seems to be no, but equally it doesn’t appear to contradict it either. Heat from a molecule of “greenhouse gas” can not warm the ocean and the reason is surface tension.The ocean will not accept physical heat only radiation. So if ocean heat constant is fixed (+-TSI) Then how can ANY event affect the temperature upwards ONLY, as at each El Niño event over 30 years. To suggest that there is no AGW you should have an explanation for the steps. Agreed but what about trends from one El Nino dominated multidecadal era to the next? Or from one La Nina dominated multidecadal era to the next? We have some evidence from 1600 to date that there has been a slow irregular tropospheric warming since the depths of the LIA so it is likely that there has been a background warming trend that imparted its effects from one El Nino dominated multidecadal era to the next. Likewise from MWP to LIA there would most likely have been a background cooling trend that imparted its effects from one La Nina dominated multidecadal era to the next. The only candidate for that sort of pattern since long before industrialisation is changes in solar activity. Where does the heat for these el niño events come from? Looking at figure 4, following the 1998 el nino, we never then went below (or got near) the previous baseline, the green line. Following the recent el nino, we are possibly going to go below the previous baseline (the brown line) – I say likely since Dr Roy Spencer’s solar reflection data strongly indicates another bout of ocean cooling is under-way. The other notable thing is that the previous major el ninos each maxed out higher than its predecessors, the 2009 event did not. IMO we’re in the process of experiencing a step down rather than a step up, but this won’t be confirmed for some time yet. Imrancan – That is something about which there is much speculation and little knowledge. Obviously the process is taking place – I don’t think there is any doubt about the heating and cooling of the air by the sea. It was said for years that hte oceans are heated by the over-heating air, something that now seems to be a physical impossibility. Is heat missing? If the computer model shows that there must be additional heat accumulating and the atmosphere is not getting warmer, then it is supposed to be ‘in the system’ somewhere. That is why Trenberth raised the question of where is the heat they ‘knew’ was accumulating (from CO2) was being stored. Obviously the oceans are a good guess if it is not showing up in atmospheric temperatures. As long as the temeprature of all the seas and oceans is not well charcterised, it is pretty safe to keep on claiming (as some do) that the heat is stored in the oceans and will emerge just now to bite humanity. As more data is recorded showing that the heat in not in the ocean, the claim struggles for air. It has not yet breathed its last, but I see the ‘hidden heat’ argument floundering in a sea of contrary evidence. having said that I see that on the smoothed data the 2009 event just pipped 1998. I’m not following something here…the increase in SST implies an increase in the energy of the upper ocean. Are you saying that El Nino directly *provides* that energy? If so, from where is the energy taken? Or is it your hypothesis that the Earth absorbs more solar energy (or loses less) because of some aspect of the El Nino conditions, e.g. a change in cloud cover? It seems a discussion of the relationship between total ocean heat content and SST’s would be useful as the longer-term warming signal from increased CO2 would favor being seen more readily in total OHC. Also, as the total amount of water vapor in the atmosphere over the oceans has been increasing over the years as clearly shown in SSM/I microwave analysis, The net energy this represents and causes (aside from the other effects) should be brought into the discussion. Finally, what does your analysis show for SST’s for the northern oceans, say north of 60 degrees? Another way to show the irrelevance of the CO2 effect on the climate trends. The least squared trend re: total solar irradiance over the past 30 years is mildly negative. The least squared trend re: global SST over the past 30 years is strongly positive. So you have proposed this ratchet effect whereby SSTs will increase ad infinitum, or do you suppose there is a cooling effect between these El Ninos that may be countered by AGW? Re new step change in the post 2010 El-nino, Roy Spencer seems to think that SST hasnt rebounded – at least not yet? He is looking at whole of the world though…. Isn’t it too early to tell if we have another step change upwards in SST? Very interesting. It seems Mr.Tisdale has single-handed refuted the CO2-hysteria. Congratulations to you, Mr. Tisdale! The more you cut the planet into parts or types to look at Global Warming, the more you see that “global” is regional. Global warming is only global in a statistical sense, and the CO2 effect is only an effect in specific regions. Look at SST data for the Pacific in a latitude basis year to year and you can see temperature movements from the equator towards the pole. The detail – not peer-reviewed, not properly documented – I have done looks like a movement of heat/energy through the oceanic and then air temperature through time. Turn your temperature data 90* and plot vs time, so that the y-axis is latitude and the x-axis is time. Geologically we do this for x-axis position (lat-long) and y-axis depth (inverse time, greater depth is older), and call it a cross-section. … When El Niño events dominate a multidecadal era, indicating the tropical Pacific is releasing and distributing more ocean heat than “normal”, global surface temperatures rise. The opposite holds true during epochs when La Niña events dominate. Great work, but I’d like to hear more about the La Niña epochs where, according to the phrase I highlighted in bold, the opposite (i.e., SST reduction) is expected to take place. You have neatly demonstrated that 1/3 of the ocean surface (East Pacific) does not seem to have warmed at all over the past three decades, according to the SST data set. However, the other 2/3 of the ocean surface (the Rest of the World) seems to have risen in mean temperature by about 0.3ºC over the same period, albeit in steps synchronized to El Niño events. Thus, over three ENSO cycles, the overall global mean SST has gone up by about 0.2ºC. Due to what? Sorry but I’m not buying that. If I cut just a few years from both sides on Figure 2 graph I can get a completely different slope and we can argue which of the two is cherry picking. In fact I can see the same steps on that graph as the ones you present on the ‘rest of the world’ one, but in my opinion it’s just too noisy to draw any conclusions. And if it’s El Nino what’s adding to the temperature, where’s the force that’s keeping it constant in between? Shouldn’t it be returning to ‘balanced state’ if there was no such force? Or is it rather like that a steps-like graph can be created as a sum of a see-saw graph and a slope? Should not the after effects of El Ninos diminish as one gets increasingly distant from each event in time? I doubt that the steps result in permanent shifts that build upon each other ad infinitum. In addition to that, surely there is a phenomenon or set of circumstances that result in downward jumps, but according to your posts on La Nina, that can’t be what would do that. So what phenomenon results in multidecadal and longer cooling trends? I expect the recent step to be short lived. I hope they appeal to the Inter-Academy Council (IAC) to reconvene and issue opinions on the IPCC’s latest outrages. The accumulation of solar derived energy in the upper ocean, due partly to higher than average solar activity over the period, and partly to reduced cloud cover over the tropics. Yes, the impact of an el nino event ought to diminish with time, say, decay away exponentially like a leaky integrator, but its effects are coupled into other factors that also “integrate” the effect. For instance, el nino humidifies the atmosphere, this in turn acts as additional “green house” warming and might alter precipitation patterns, then perhaps alters albedo, and so on…what is the time scale of these integrators? I dunno. No one else does either. It could be anything from decadal to millenial. This is why I find Tisdale’s suggestions so interesting. They are full of other possibilities. Yes, but where’s the cooling in between the steps? Oceans heat up quickly and cool down slowly. The steps would follow this pattern. More frequent warming periods would lead to step increases. I would hazard a guess that when El Nino’s dominate, steps up without falling back to baseline would dominate SST data. When La Nina’s dominate, steps down to eventual baseline and below would dominate SST data. While this post asks some interesting questions, we don’t really understand what is going on here (yet). 3. At the end of an El Nino cycle, the damping temporarily releases and the stored energy warms the SST. 4. The damping then returns and the cycle continues. Now the above is complete speculation but I propose it as a thought experiment to help us consider if Mr Tisdale’s work actually disproves AGW. Is such a system feasible? Can anybody improve upon it to make it feasible? Of course feasible doesn’t mean true, but if we can imagine a situation where Mr Tisdale’s analysis could coexist with AGW, then we have not yet disproved it. Have you noticed that your step increases coincide exactly with the last 3 solar minima. I believe there was a ‘climate shift’ in 1976 as well, another solar minimum. In short, Bob’s analysis, while interesting, in no way disproves the contention that the rapid increases in CO2 over the past few centuries is affecting the earth’s energy budget, and until we see the expect step-wise decrease in SST’s that would have to occur if this is a natural cyclical phenomenon, we still have more heat even in the surface SST’s (not to mention the deeper warming as referenced above) than we had at the beginning of the analysis period. I’ve never seen any papers that support this. On the other hand, I’ve never seen any papers that acknowledge the upward steps over the past 20+ years. I have. They’re discussed in detail in the posts linked under the heading of FURTHER INFORMATION. As discussed on numerous threads before this, I do not study paleoclimatological data. In fact, I spend most of my efforts with satellite-era data because there’s better coverage. The warm water that fuels an El Nino is “stored” in an area of the western Tropical Pacific called the Pacific Warm Pool. The trade winds “pile it up” there. During an El Nino, the trade winds relax and the warm water (surface and subsurface) sloshes east. During the La Nina, the trade winds strengthen and return leftover warm water to the surface of the western Pacific. It gets distributed poleward and into the Indian Ocean from there. Also during the La Nina, stronger trade winds reduce cloud cover, which allows more sunlight to warm the tropical Pacific to depth, and through that increase in sunlight, the La Nina recharges the warm water in the Pacific Warm Pool for the next El Nino. The 2009/10 El Nino was weaker than the 1997/98 El Nino. If, big if, there’s another upward step, it should not be as large as the one in 1997/98. Seems to me there is something going on here related to the thermohaline current (THC). ENSO could be driven by changes in the 1600 year flow starting in the North Atlantic. What was going on 1600 years ago in the North Atlantic in terms of temperature, and what effect might that have had on what we observe today? The time error bars are probably pretty big (1600 +/- 200 or more?). If many cubic km of water are spreading out on the surface, a slow deep current can affect a large area. It may be we are seeing the effects of faster versus slower THC, larger versus smaller volume, or perhaps warmer versus colder current. More cold water upwelling could keep the SST lower, i.e. a bigger La Niña. Less might make El Niño dominate. Perhaps we are seeing the delayed effects of reduced evaporation of the waters of the Atlantic during the Dark Ages. I found a paper with excellent discussion of THC issues. It has models and IPCC (my first reaction was “ick”), but it also has GCRs. It discusses technology to get answers. It seems to be balanced, and looking for answers. Surely if the ocean is absorbing the greenhouse gas it must be absorbing its heat with it? Actually, I have, just not in this post. I’ve been documenting, illustrating, discussing, and animating the reasons why the East Indian and West Pacific Oceans rise in apparent steps in response to those El Nino events. Some of the posts are provided above in the links under the heading of FURTHER DISCUSSION. The North Atlantic also experiences these upward steps, which are what one would expect with an extended response to ENSO laid on top of the additional upward trend of the AMO for the past three-plus decades. The most recent peak is barely above the previous, so I would not expect much of an upward step at all. Agreed, Pamela. Can we not use the movement of the solar barycenter and its correlation to solar activity to project back to the 1600 to gain some understanding of the time it takes for this to happen? Suppose Svensmark is correct. The 10Be deposition rate yields the GCR intensity. The rate of change of the acceleration of the centre of gravity of the sun (not its diameter) around the barycentre correlates well with the magnetic activity (as I read it). So from two completely different inputs it should be possible to derive some general case formula that will predict El Nino’s. That was what Landsheidt did so well and Corbyn continues to do (with more resolution), but both forward and backward. The El Nino ‘heat decay rate’ should then be extractable, and the gentle temperature rise out of the last ice age detected by simple subtraction. Any change from that final set of sums over the past 60 years would be the AG portion, minus any natural rise in CO2 other GHS’s as a result of ice age and mini-ice age retreat. From the appearance of things now, if things go normally, Greenland will continue to melt slowly for perhaps 500,000 years and the Northern Forests, Fauna and Fisheries will return to their former glory. Bob, with regard to La Nina you say that cloudiness decreases to allow more solar energy into the ocean to enhance the recharge process. Is that simply a regional effect involving a shift in the position of the ITCZ? I ask because cooler ocean surfaces during a La Nina would shrink the width of the tropical air masses, weaken the subtropical high pressure cells and allow more meridional jetstreams with increased cloudiness globally notwithstanding the opposite effect over the ENSO region itself. Could the global effect on cloudiness be opposite to the regional effect? ENSO provides that energy, not necessarily the El Niño phase. The El Niño phase of ENSO raises the global surface temperatures in a number of ways. But the La Niña phase (during the significant El Niño/La Niña events) is what maintains the global surface temperatures at the elevated levels. 1. The La Niña event returns leftover warm water from the El Niño back the surface of the western Tropical Pacific, due to a resumption of the trade winds and a phenomenon called a Rossby wave. 3. Due to an increase in the strength of the trade winds during the La Niña, cloud cover is reduced over the tropical Pacific, which allows more Downward Shortwave Radiation (visible sunlight) to warm the tropical Pacific to depth, recharging the ocean heat released during the El Nino. 4, The increased strength of the trade winds and the increase in Downward Shortwave Radiation during the La Nina also allows more warm water than normal to be distributed poleward and into the Eastern Indian Ocean. El Niño gets all of the coverage, but there’s lots more going on during the La Niña. If these step ups from El Nino’s illustrated on the main topic of this thread don’t contribute to overall global temperatures long term, then we would expect no increased long term trend overall in the NINO3.4 region. The NINO3.4 surface temperatures from 1900 to the present day are shown below from ERSSTv3b. From the 1900’s up to the 2000’s surface ocean temperatures on average have risen 0.8c in the region of NINO3.4. The graph below shows the global temperatures warming and cooling corresponding with NINO3.4. Since 1900 there has been so far 4 different phases with different trending ENSO. (the first one is only partly shown) The periods above 0.5c have been increasing while at the same time periods below -0.5c decreasing. This explains why the cooling period between the 1940’s and 1970’s didn’t decline to previous global levels around the early 1900’s and 1910’s. Finally the graph below shows how the warming trend of the NINO3.4 matches the trends in global temperatures very well. The first and last 5 years use a 13 month filter while the rest 121-month one. So, the Satellite era does not give us any perspective on the La Nina dominated SST’s. We’ll just have to wait some decades to see what that is like. Some have put the ENSO change in 1998, some in 2007. My take on when ENSO flipped is 2006/2007, so we are just now seeing the first effects. The period of 1995 to present being globally flat temps is a result of the wane of the last ‘warm’ ENSO cycle, if the ENSO only flipped in 2006/7. That’s nice to know, Jack, but how does your observation relate to my post? When each step up happens during a solar minimum, maybe because the trade winds relax during the solar minimum, allowing the warm pool to form a big El Niño, and discharging the Warm Pool, then what will the coming Grand minimum do? It will lead to a constant trickle-discharge of the Warm Pool so that it can never recharge completely and we will not see any El Niño’s during the Grand Minimum. In my search for the natural causes related to the climate change, beside two already known in the N. Atlantic and N. Pacific (with promising correlations), there is one more, this time in the equatorial Pacific which correlates well to the integrated monthly Southern Oscillation Index, but only if delayed by ~12 years, possibly coincidence but unlikely. Why there should be 12 year delay I have no idea; distance Darwin to Tahiti is about 8,500 km, so it would give velocity for the South Equatorial Current of 80m/hr, a bit on slow side but realistic for deeper level currents. Any ideas? What flaw did you find in “Bob’s analysis”? Care to enlighten us ? ??? There’s been a “gentle temperature rise” out of the last ice age. Really? Please show your proof of this contention. Oh, perhaps you’re talking about the so-called “LIttle Ice Age” which was of course not an ice age at all? What are you talking about here?? I think there is a problem with that argument. As I understand the IPCC report, the global temperature predictions are based on the GHG-driven warming staying mainly in the upper layers of the oceans. If the GHG-driven warming is instead being spread through the deeper ocean, then the IPCC predictions of global temperature increases are far too high. (It takes a lot more energy to warm the deeper oceans than just the upper part). The hypothesis that anthropogenic greenhouse gases have any impact on sea surface temperatures is not supported by the satellite-era SST data or the IPCC’s 20C3m/SRES A1B Hindcasts/Projections. We’ll see what happens. That’s why I’ve included those East Pacific and Rest-Of-The-World SST datasets in my monthly updates. I’ll be posting the June data tomorrow, and I’ve deleted the 13-month smoothing in those two datasets. FYI, I don’t believe Roy Spencer’s SST data is global. If memory serves me well, it runs from 60S-60N. By excluding the data poleward of those latitudes, he doesn’t have to deal with seasonal sea ice. A one-sentence answer: The discharge and distribution of warm waters created by the ENSO process. Maybe this is a silly question, but I guess the only silly questions are the ones you don’t ask. Why adjusted the SST anomalies for volcanoes? I understand why you would for air temperature, but I would think that such a temporary difference would make such a big dent on the ocean. Wouldn’t the ocean temperature be harder to affect by changing the air temperature a half a degree or so? In many of Bob’s posts on the SST of different ocean basins it can be seen that the entire South Pacific Ocean has been warming only gradually and the Southern ocean has not been warming at all.. To my eye it seems possible that the Southern Ocean SST has cooled slightly. So over the period from 1981 to present maybe one could say that there has been little or no warming in about 50% of the global ocean. It would be interesting to see another posting from Bob showing essentially the same graphs as above but with the ocean surface areas reconfigured slightly to zero in on the areas that have warmed substantially and the areas that have not warmed significantly. Would this highlight the heat transfer process even more explicitly? You cannot ‘create’ warm water from the ENSO process, you have to get energy from somewhere to warm water. The ENSO process is not causal, it is a convenient description of warm/cold ocean currents, a way of parsing ocean processes. Its a reification of measurements, not a primary causal agent. However the last few decades have seen a DECREASE in downward shortwave radiation or TSI. If your hypothesis was right then there would be a step-change DOWN after every El Niño. So without the response of the 1982/83 El Niño, the trend rises to +0.013 deg C per decade. Do you know what the IPCC 20C3m/SRES A1B Hindcast/Projection linear trend is for that part of the global oceans? It’s ten times higher at 0.137 deg C per decade. You asked, “And if it’s El Nino what’s adding to the temperature, where’s the force that’s keeping it constant in between? The La Nina events that follow those El Nino events take the leftover warm water that was released from below the surface of the Pacific Warm Pool and redistributes it poleward in the western Pacific and into the East Indian Oceans. Here’s an animation of sea level residuals for the 1998/99/00/01 La Nina. The animation starts at the peak of the 1997/98 El Nino. Watch for a process that carries warm water west in the northern tropical Pacific, at about 10N. It’s called a Rossby wave. Follow it west and keep an eye on the western Pacific as that multiyear La Nina continues. The west Pacific and East Indian Oceans warrn during that La Nina, and very shortly thereafter there’s the 2002/03 El Nino, and it helps to maintain the elevated Sea Surface temperatures. After watching that, do think La Nina events are the opposite of El Nino events? Bob, you have probably realized by now from the general theme in the questions that you did not provide an energy balance. When clouds decrease and cause an anomaly warming, they also increase back to the previous cloud cover by the next El Nino causing an equal anomaly cooling, and the only way it can keep stepping up is for cloud cover never to quite recover between El Ninos. If this is what you are saying, you need to state it explicitly. Then the energy supply would be decreasing cloud cover, which is a testable hypothesis. Sorry,.I don’t have an answer for you. I present what exists in the data, Since we don’t have satellite-based SST data during a cooling epoch, I have no way to determine it. The AMO might impact it, but we’ll have to wait until North Atlantic SST anomalies start to decline. There’s nothing in the SST or OHC records that indicate that CO2 has any noticeable impact. I’ll be checking your hypothesis! When you say that ENSO is fuelled by periodic changes in solar radiative forcing, presumably you are referring to cloud changes, something along the lines of the meridional shifts in the ITCZ (as Stephen Wilde proposes). Some appear to be interpreting solar changes as the 11 year sun spot cycle. ENSO does not have any 11 year signature. It does however (if you look at global or NH smoothed SST) appear to move in 8 year “jumps” (nodes in 1985, 1993, 2001 and 2009). 8 years is Scaffeta’s ocean thermal heat time constant. I’ve described and illustrated this in numerous posts. A couple of questions and answers: Is La Nina part of the ENSO process? The answer is yes. Do the Pacific trade winds increase in strength during a La Nina event? The answer is yes. Do stronger trade winds during the La Nina decrease cloud cover over the tropical Pacific? The answer is yes. Does the decrease in cloud cover during the La Nina allow more Downward Shortwave radiation to warm the tropical Pacific to depth? The answer is yes. Apparently warm water can be “created” by the ENSO process. Are there instances where a La Nina event recharged more tropical Pacific Ocean Heat Content than the preceeding El Nino had discharged? Yup. It happened during the 1973/74/75/76 La Nina, which provided the fuel for the 1982/83 El Nino and it happened during the 1995/96 La Nina, which fueled the 1997/98 El Nino. Just to give you an idea of the magnitudes we’re dealing with, Pavlakis et al (2008) determined the increase in Downward Shortwave Radiation during a La Nina can be as much as +40 watts per square meter over portions of the tropical Pacific. The equatorial Pacific Sea Surface Temperature-based ENSO indices (NINO3.4 SST anomalies, ONI, CTI, etc.) do not represent the ENSO process. They illustrate one of the effects of ENSO. They are used do describe the frequency and magnitude of ENSO events, nothing more. You’ll need to explain the logic behind that. You lost me. Whatever point you’re trying to make is most likely based on your misunderstandings about ENSO. The El Nino is releasing heat during that phase in the form of evaporation, which causes the cooling…and the cloud cover. The peak effect of Mount Pinatubo on global SST anomalies is about 0.2 deg C. The peak effect of Mount Pinatubo on global Sea+Land Surface temperatures is approximately 0.35 deg C. I’ve never checked the effect on land surface temperatures alone. Thanks for the comments. I have always felt that the key to understanding global temeperature variation is understanding the processes of energy re-distribution in the oceans. It is the ocean that ‘holds’ all the stored energy of the planet surface. And these factors are not well understood – agreed. My query about the time lag was to be able to try and predict future OHC, SST and also global air temperature variations, if we assume that the sun is indeed going into a low magnetic flux period and that the theory about cloud formation is indeed correct. How would this play out regarding less energy entering the oceans and the then lagged translation of that towards a cooling atmosphere etc. Are there models that integrate the cloud theory and the ENSO effects etc to allow this to be predicted. To date it just seems that everyone states we are going to enter ‘a cooling phase’ ….. but it would be good to quantify this prediction and then see how accurate we are. Global cloud albedo had continued declining until around 2001 despite ongoing El Ninos. Since then global cloud levels have become stable and even slightly increasing over the period shown below. Hence, the next step up speculation from the recent El Nino during 2009/10 will very likely not occur while global cloud levels remain in this new trend. At least this will be therefore a testable hypothesis with no step up occurring until if global cloud albedo starts decreasing again. The overall source of clouds must be from the hydrological cycle. While a tiney bit of “seeding” may occur from solar sources, the big ponds are far and away the biggest source. Evaporation from those oceans, which also kick up salt spray and are infused with dust from land sources, brings about clouds with very little input from solar sourced particles. Just not enough energy available, or particles, for this to be a solar phenomenon. Thanks for your reply to my question. Much to read, and to think about here. But just to clarify one more thing for me, it seems that you are arguing that re-distribution of heat in and of itself (that is, without the addition of energy), can affect the average sea surface temperature. This seems plausible, as energy can be exchanged between the surface layer and sub-surface regions. What is your take on the total thermal energy of the ocean during the ENSO cycle? You seem to be saying that ocean heat content is not much changed during El Niño, and increases during La Niña. Is that accurate? “Does The Sea Surface Temperature Record Support The Hypothesis Of Anthropogenic Global Warming? For those of us who are not professionals in the field (or me, at least), it is not always easy to tease out the implications of these technical articles. It is nice to have the basic point spelled out in clear, unambiguous, terms. You article does, however, suggest that we might not be as doomed as we would like to think. That cannot be right. Given the rate of charge in La Ninas over the past few decades, it would take a decrease in incoming shortwave radiation to recharge less. Otherwise, SST’s will continue to step up. Seems testable. Ok, so the effect has been quantified by someone? And the difference is around half of the Sea+Land total? (0.35-0.2=0.15, or around half of 0.35) I believe Hansen quantified it as around 0.5C (http://pubs.giss.nasa.gov/abstracts/1996/Hansen_etal_1.html). Now, these are totally academic questions, but if you can pull that difference out of the Pinatubo eruption, doesn’t that really suggest that air temperature is more volatile and we should be tracking ocean temperature for a climate signal? But, further, to say that the ocean is causing changes is fine, but what is changing the ocean? That is really a question that I did not see addressed in the post. And please, take this as the academic question it is, because I do not mean any disrespect to your research. Also, thanks for not being ‘that guy’ and pointing out the grammatical error in my first post (lack of a negative). And I think Hansen was quantifying the land only total. Unless I read that wrong. The ocean systems are not still, reflective ponds. They are as active as rivers, if not more so. Not to mention they are very, very, very large, both in terms of surface area and layered area. Add the overturning component and you are also talking about its depth. The Sun provides a fairly constant source of energy but the clouds mitigate how much reaches the surface to add energy. The surface winds also determines whether or not this penetrating infrared energy stays in the calmed top layer or gets mixed in with wind-churned colder layers beneath the surface (and I might add, relatively speaking, we can ignore reflected longwave radiation heat from CO2). So the energy source is constant but the highly variable conditions in our atmosphere determine the conditions at the ocean surface in terms of its ability to absorb this energy and move it around. I have a few novel suggestions. i) I think that the ENSO cycle is directly caused by the fact that the ITCZ is situated north of the equator and not exactly above it. That introduces a solar energy input imbalance within the oceans either side of the ITCZ.. Periodically that imbalance becomes large enough to become unstable and so to restore balance a pulse of warmth is periodically released by the warmer part of the ocean south of the ITCZ to the air and to the broader global oceans on either side of the equator. The fact that the pulse of energy release is spread out across the central Pacific is due to the Earth’s rotation. ii) Additionally under the influence of solar variability the distance that the ITCZ sits north of the equator changes. It was closer to the equator during the LIA than it was during the MWP and today. That distance sets the potential scale of the imbalance and the total energy that must be must accumulated before the release occurs so that if there is high solar activity the mid latitude jets move poleward and the ITCZ moves further north. That makes the energy input imbalance across the oceans either side of the ITCZ larger and makes it more difficult for the release to occur so that the pulses of warmth have a greater energy content when they are released hence a bias towards stronger El Ninos when the sun is active and a bias towards La Nina when the sun is less active. iii) The change in energy input to the oceans when the level of solar activity varies is greatest outside of the tropics and of opposite sign to the change in energy input to the oceans caused by the ENSO cycle within the Tropics. iv) If the ENSO cycle were not to occur then the north/south oceanic energy imbalance would increase directly in line with a more active sun and the ITCZ would move further and further north until the sun became less active but in fact it does not do so.The distance northward that it can move is limited by the solar induced position of all the other air circulation components via the solar influence on the vertical temperature profile of the atmosphere especially at the poles. The energy imbalance can only increase until it reaches a limit set by the strength of the solar resistance to the northward movement of the ITCZ and then it ‘pops the cork’ in the form of an El Nino. As the El Nino dies away the recharge (La Nina) process takes over until the next time. Thus the ENSO cycle modulates the bottom up oceanic effect on the atmosphere and the latitudinal shifting of the mid latitude jets modulates the top down solar effect on the atmosphere. All climate change is a consequence of that constant interaction but the existence of the irregular equatorial release of solar energy from the oceans is a by product of the uneven landmass distribution between the two hemispheres. It is the predominance of ocean in the southern hemisphere that allows a greater accumulation of solar energy south of the equator and it is that landmass imbalance which allows the ITCZ to be pushed north of the equator in the first place. Over geological timescales the strength and/or existence of the ENSO phenomenon would therefore be dictated by the extent to which the landmass distribution changes. Actually I see that there are a couple of amendments that I should make to my previous post to make it fit the reality more completely but I will leave that for another time. It is enough for the moment to have set out the basic concept. I believe Bob Tisdale’s work is profoundly important and increases our understanding of how the earth’s climate works in the multi-decadal time frame. It also provides evidence that the “consensus” view of “global warming” is probably wrong. The most striking thing this work shows is the proximate cause of the mid 20th century cooling. It was a cyclical period of La Nina dominance that leads the cooling and not the clumsy “sulphates” excuse that always seemed a case of clutching at straws. Similarly the two warming periods of the twentieth century are seen as been directly, if not ultimately, caused by two periods of sea surface temperature rises and these were of essentially equal magnitude. “We learn that the recovery from the LIA has proceeded continuously, roughly in a linear manner, from 1800-1850 to the present. The rate of the recovery in terms of temperature is about0.5°C/100 years and thus it has important implications for understanding the present global warming. . . . The multi-decadal oscillation of a period of 50 to 60 years was superposed on the linear change; it peaked in 1940 and 2000, causing the halting of warming temporarily after 2000. These changes are natural changes, and in order to determine the contribution of the manmade greenhouse effect, there is an urgent need to identify them correctly and accurately and re-move them from the present global warming/cooling trend. It is clear that our understanding of the causative processes that drive these sea surface temperature changes is very poor. It is certainly not adequate to explain how much, if any, of the late 20th century sea surface temperature changes, which directly caused the measured atmospheric warming, were caused by anthropogenic factors. The current “narrative” of CO2 caused warming simply doesn’t fit the data at all. I personally fail to see how CO2 can cause ocean temperatures to rise before causing atmospheric temperatures to rise which is absolutely necessary if the 20th century warming can even possibly be attributed to CO2. To be honest, I am not at all convinced that CO2 concentrations in the atmosphere can materially affect ocean temperatures in any way, which means that CO2 cannot drive climate change, it simply adds a small warming signal on top of the existing, “natural” change. I’ve never heard of such a model. I consider (for many reasons) that ocean temperature is the significant metric of global warming and because of this, I consider that the land based temperature record which has additionally been allowed to become so bastersized would be better ditched. I consider it necessary that more effort is made to see what extent there is any warming of the oceans and to better understand the processes involved. For my part, I consider that to the extent that there has been any significant warming in ocean heat content during the last 50 years this is overwhelmingly likely to be due to changes in cloud cover and thus the amount of solar energy reaching the oceans. It seems to me that not enough thought has gone into the question whether the radiative warming theory/conjecture can actually work with respesct to the oceans. I say this since there is a fundamental difference between how the land and air over the land warms/can warm, and how the oceans and air over the oceans warm/can warm. In this regard, it is necessary to bear in mind the following:-. 1. It is almost certainly impossible for DWLWR to warm the ocean. Due to the wave length of downwelling LWR, it can, at most, penetrate but a few microns and there is no sensible theory how energy that penetrates to that depth only can be mixed and absorbed into the first 10 to 30 m depth of the ocean (and thence down into the deep ocean)..
2. The first few microns of the ocean is in any case little more than windswept spray and spume and therefore the DWLWR does not even get to the surface skin. Such DWLWR that may make its way to the first few microns of the ocean skin merely heats this layer and is immediately ‘burnt’ off/carried away in evaporation and convection and therefore does not penetrate the ocean and can therefore not become well mixed into the deep ocean . 3. It follows from the above that it is overwhelmingly likely that all heat in the ocean is the result of solar energy (and not that of DWLWR). 4. But the warmists would argue that even if solar energy is the source of ocean heat, backradiation/DWLWR in the atmosphere above the oceans slows down the rate at which the oceans would otherwise give up their heat, ie., it slows heat loss. Whilst, this argument may have some validity with respect to how heat is lost from the surface land and how the atmosphere over the land behaves, it does not necessarily work with regard to the oceans. 5. The air temperature over land whilst influenced by the amount of energy received by the land, the latent heat capacity of the land/its ability to retain and give up its heat, is also signifiicantly influenced by atmospheric circulation patterns. There is usually a large diurnal temperature range over land. 6. Contrast the position with respect to the oceans. The air temperature above the ocean is usually very close to the ocean temperature. Usually, there is all but no diurnal temperature difference. The ocean is a huge heat reservoir and because of this almost limitless source of heat, it usually maintains a steady air temperature above it at all times during the day and night. Thus the air above the ocean does not insulate the heat loss from the ocean but rather the air temperature is the temperature that it is directly because of the amount of solar energy absorbed by the ocean (over time) and the heat loss from the ocean. .
7. Further to 6 above, it is easy to see the difference between land and ocean with an every day example. Over land a cloudy sky at night can insulate and reduce heat loss such that night time temperatures may ‘hold up’ on a cloudy night, so too possibly DWLWR can slow the heat loss from the land. However, over the oceans a cloudy sky at night does not make the night any warmer. It does not insulate the ocean or such insulating effect that it may have is completely dwarfed by the huge heat reservoir of the ocean itself. Likewise, the effect of DWLWR, if any, is completely dwarfed by the immense heat reservoir of the ocean itself. 8. Thus unlike the land/air above land (where there is significant difference between air temperature and the land, for example consider a tarmac road, or even hot sand verses air temperature and the significant diurnal range over land), the ocean/air above ocean is in equilibrium balance subject to convection and evaporation. Additionally, if so called ‘greenhouse’ gases were an important factor, again unlike the position over land, water vapour would dominate (the levels of water vapour being generally higher over water) and would dwarf the effect of CO2. In summary, I consider there are many reasons to consider that CO2 has little (or very probably no measurable effect) on ocean temperatures. Nope. Refer to the following graph. Tropical Pacific (scaled by a factor of 0.5) and Global OHC both dropped during the 1997/98 El Nino. Tropical Pacific OHC also dropped during the 2009/10 El Nino, but for some reason global didn’t. I haven’t investigated to determine where the rise(s) occurred that counteracted the decrease in tropical Pacific OHC, but the basin with the greatest increase during the ARGO era has been the Indian Ocean, so that’s where I’d start if I went looking. I’ve discussed the processes that cause the upward steps in numerous posts over the past couple of years. Many of them are linked at the end of this one. I felt it was best to provide links in this post as opposed to encumbering it with lots of additional detail. maybe I overlooked something given all the posts, but since SST roughly equals Global warming, (given the fact that Global warming consists for 71% out of SST) decadal oceanic oscillation must be the biggest contributor to the “global warming” statistic. Our rather rampant sun and the el Ninos of the of recent history has pumped a few calories into the oceans. This warmness of the waters is slowly but inexorably being depleted by the underside of the floating ice sheets, thus giving some a false impression of global warming when the reverse is true. The temperatures in the Arctic and Antarctic melt very little ice, it is our thermostat kicking in to dump the heat. The ocean is both a heat bank and the source of our refrigerant, the phase changes of water in both ice and water vapour in the atmosphere are the thermostats that fight continually a chaotic open piped heat pump trying to balance itself, in the face of ever changing inputs and out puts, thus we have weather. Mr Tisdale the anthropological part of global warming is a fiction for control of people and not climate. tonyAT climatereason.com if you see this post? Very interesting to look at the western pacific warm pool right now. It doesn’t look warm at all after a fairly strong La Nina. I don’t think anyone has a definitive answer on this topic yet. I have encountered the idea that El Nino events cool the globe, the higher surface temperatures increase heat loss so that there is a net negative energy balance, and La Nina events warm by causing a net positive energy balance as more is absorbed than lost. But your hypothesis seems to be that the last few ‘cycles’ of the ENSO system have averaged a net positive energy gain by altering the cloud feedback so that albedo is reduced and the oceans are absorbing more net energy than they are losing. This would seem to be historically unprecedented. I know of no other climate event during the Holocene since the end of the last glacial period that shows unidirectional warming from a string of ENSO cycles. The hypothesis relies on a change in cloud cover over time which unfortunately there is no observational data to confirm or refute. I am not sure where you got the cloud cover data you link to in the graph, but local observations are too local to detect global trends, and satellite data are compromised by a systemic error in the geometry of calculating cloud cover which has led to a false decrease in the data as more satellites were added to the observing system. Historical data shows ENSO ‘cycles’ over the last ~6000 years with no unilateral cooling or warming, but with increased El Nino events during the LIA and increased La Nina incidence during the warmer periods -MWP etc. Do you have any speculation what may be causing this change in behavior of the ENSO cycles to cause this warming ‘rachet’? Obviously if it was to continue tropical temperatures would soon rise beyond the rqange compatible with biology and ocean hypoxia would cause a mass extinction event. What process might stop this unidirectional warming from ENSO if that is what is happening? Do you even have the slightest idea on how high temperatures would have to rise to fit that requirement? Do we know that unidirectional warming has never occurred before? – IE before we started measuring things well…if it was of short duration, it probably wouldn’t even be seen. That is a lot of conjecture Izen..and maybe there is something there, but I think you should rest easy and remember just because we have not seen something does not mean its a cause for worry, study yes, but panic later when we know that the panic is warrented…. As for stopping a process, good luck. I don’t think there is anything here that is driectly scary or anything. Rest easy, it will be ok.
Can I have a source for that please? It is conceivable that El Ninos began to increase to start the shift out of the LIA trough and that La Ninas began to increase to start the shift down from the MWP peak. But I don’t see how increased El Ninos could be a characteristic of a period of cool atmosphere and La Ninas of a warm atmosphere. That would go counter to all recent observations. I think it will be found that that is what happened during every warming spell throughout the Holocene. What seems to happen is that an active sun pulls the mid latitude jets poleward to reduce global albedo for more energy into the oceans. Whilst that is going on the El Nino events get stronger simply because the lower global albedo allows more solar shortwave into the oceans than the enhanced El Ninos allow out for a gradual stepped increase in tropospheric temperatures until the sun becomes less active again. How do we know that anthropogenic greenhouse gases aren’t lessening the severity/extent of La Nina and increasing that of El Nino? Changes in wind patterns are a large factor in whether ENSO is cooling, warming, or by how much. It would seem anthropogenic activities of various sorts could have an effect on wind patterns although I suspect land use changes have more effect than GHGs. In any event you can’t just say ENSO exists in a vacuum outside of human influence and not offer substantiating evidence any more than the usual climate boffins can say it is influenced by human influence without substantiating evidence. No double standards please. It is almost certainly impossible for DWLWR to warm the ocean. I can see a lot of good thoughts in your chain of reasoning. There are two fundamental ideas that still make me doubt your reasoning. 1) Conservation of energy. The energy from the DWLWR has to go somewhere. Even if most of it goes into evaporation, that energy will warm the air when the water condenses. At least indirectly, the warmer air will lead to warmer oceans (either thru DWLWR or conduction). Another way to think of this is that the altitude from which UWLWR leaves the earth will be higher (over oceans or land) (because of more GHGs) . The lapse rate will then raise the temperature of the surface air in response (over land or ocean). The warmer air will help warm the surface (land or ocean) (via conduction or radiation). 2) UWLWR. Because the surface of the ocean is warmer on average than the air above it (especially when you consider that some of the DWLWR comes from a fair altitude), then the NET flow of energy is almost guaranteed to be upward, not downward. So LWR in general has a COOLING effect on the oceans. If the DWLWR was less, the imbalance would be greater and oceans would cool more. With more DWLWR, the imbalance would be less and the oceans would cool less quickly. We could debate whether “cooling more slowly” it the same as “warming”, but it seems the net result of the DWLWR is that the oceans are warmer than they would be with no DWLWR. izen, you’re reading more into my discussions than has been presented. My discussions of cloud cover have only pertained primarily to recharge cycle (La Niña phase) of ENSO, and those discussions were only about the cloud cover over the tropical Pacific. The dataset I’ve used is ISCCP. It’s a satellite-based cloud amount dataset that’s available through the KNMI Climate Explorer. I’ve used that dataset because it has been used in studies about Downward Shortwave Radiation over the tropical Pacific. In my presentations of Tropical Pacific Cloud Amount, I’ve used the total cloud amount. Again, I have not been discussing global cloud cover. I’m not sure where you got the idea that I was. As Ira has pointed out that’s about 0.2 degrees C warming over 30 years, most of which is the upside of the 60 year cycle. If we then lose 0.1 degrees during the downside, we have 0.1 degrees warming trend per 60 year cycle. With about 6 cycles since the bottom of the LIA, that would give us 0.6 degrees C warming since the LIA. The Loehle reconstruction suggests 1.0 degrees C net warming since the LIA bottom. Seems like what is illustrated here is simply the 500 plus year uptrend of the ca 1000 year climate cycle. As Tisdale has concluded – no AGW here. 1)Conservation of energy. The lapse rate raises the height of the tropopause rather than warming the surface (though there is some surface warming-see next point). 2) UWLWR. Extra downwelling LWR in my humble opinion has a zero effect on the background energy flow from ocean to air because ALL of it gets converted to more upward flowing convection, conduction, radiation and evaporation. The only part of the ocean that gets any warmer is the region of interaction just a few microns deep. The ocean skin (1mm deep and 0.3C cooler than the ocean bulk below) then appears to provide a buffer so that the temperature differential between the skin (averaged out globally) and the ocean bulk below remains the same so that the energy flow from bulk to skin remains unchanged. Think of it like a tributary joining a river. There is no change in the speed of flow from the river upstream because that is dictated by gravity. In the ocean the energy flow from bulk to skin is dictated by atmospheric pressure which in turn dictates the energy value of the latent heat of vaporisation. So all the extra energy from GHGs (whether human or not) goes not to warming the ocean bulk nor reducing the rate of cooling of the ocean bulk but rather to changing both the speed of the water cycle and the surface air pressure distribution from an effect on the height of the tropopause. But even so it is a miniscule unmeasurable effect compared to solar and ocean induced natural variability. Extending the start date back to the beginning of the dataset, we can see that the 1877/78 and 1888/89 El Niño events were of comparable magnitude to the more recent El Niño events. Is there anything in your work which is inconsistent with either of those propositions? I agree and have proposed just that elsewhere on more than one occasion with a lot of detail in support. The only feature of the system to vary on that timescale is the level of solar activity and even Schmidt and Mann accepted just such a top down amplification of the solar effect in a paper released in 2001. Actually, as I noted in a reply to one of your earlier comments above and on many other threads here at WUWT, I do not study paleoclimatological data. I have no interest in it, and that’s due to the lack of reliable data.. In fact, I spend most of my efforts with satellite-era data because there’s better coverage. You apparently like to speculate on what drives climate on paleoclimatological time scales. That’s your choice. But you should not expect me to have interest in your comments on those topics. As always, thanks, Anthony. Based on some of the comments on this thread, it appears I’ll need to write a post with the title ENSO Indices Do Not Represent The ENSO Process. Another way at looking at it is to consider that the La Nina state is the natural position of the Pacific. El Nino is a disturbance that interrupts the natural system which is triggered by the westerlies that occur over the warm pool in the west. This interaction moves the Walker pump further east which weakens the trade winds, and stops the upwelling of cold water off the South American coast which allows it to warm in the East with some sloshing back of what warm water is left in the West. The SOI index has tracked this trigger since the late 1800’s and basically measures the sea level pressure difference between Darwin and Tahiti. When Tahiti sea level pressure is lower than Darwin the trigger for El Nino is present, the state of the warm pool also being a factor. The SOI index is also very close to the PDO when comparing the 30 year trends, long term pressure differentials in the Pacific effectively could be a large part of the PDO cycle. 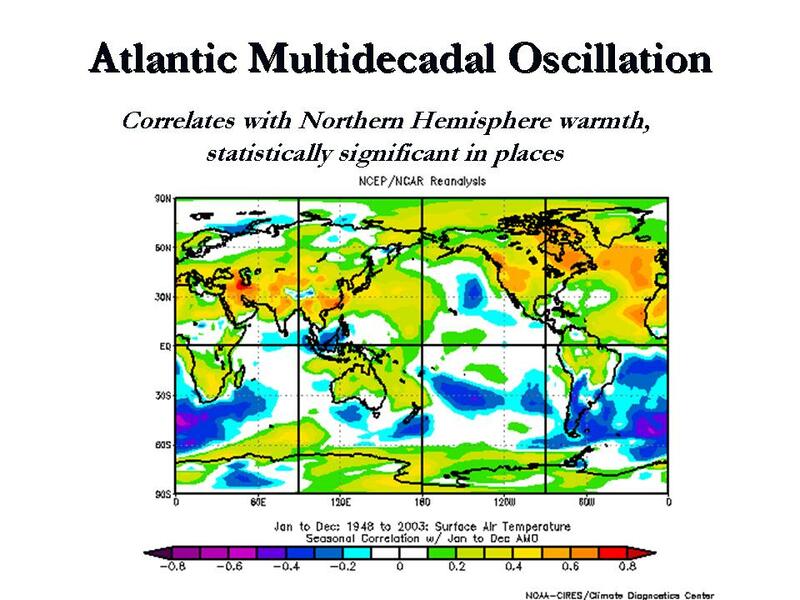 The PDO is the indicator/instigator of the ENSO predominant state over decadal time frames. The Pacific equator being the major variable in determining overall trends in global SST’s. PDO/ENSO either warms or cools depending on the balance of the cold water upwelling allowed in the eastern Pacific measured against the amount of solar warming. This balance is then redistributed to the remaining oceans with the Atlantic receiving last (explains why the AMO lags PDO). The upward step changes in world SST since 1981 is expected with a positive PDO along with solar activity being at the top of a wave not seen since the MWP. The solar influence being chemical with a hint of radiative. Negative PDO periods should show a step in the reverse direction, especially when coupled with decreasing solar. This all ties in very nicely with the solar powerwave concept. I just wanted to offer a few words of encouragement in light of your comment to Anthony above. I had not watched your Youtube videos before tonight and they really clarified your posts for me, and particularly your point that El Nino and La Nina are not opposite phenomena. For the first time I feel I can properly appreciate the importance of your work. If a picture is worth a thousand words, adding time-lapse sequences to the pictures is worth 10,000! I now fully comprehend why the step changes you write about cannot be considered signs of anthropogenic warming from increased CO2 levels. Point i) is especially pertinent since it proposes a physical cause for the basic ENSO phenomenon which has never been suggested before as far as I know. Point ii) goes to the heart of the limits on the potential scale of the ENSO phenomenon at any given time. I appreciate your expertise in all matters ENSO and so would appreciate your opinions. Thanks again for your reply. I’m still trying to get my mind around this stuff, but your patient answers are appreciated. The La Nina phase is an exaggerated ENSO-neutral phase, El Nino events are the anomalous phase. Nonsense. We’ve been through this time and again. The PDO is an aftereffect of ENSO, but it’s also influenced by Sea Level pressure and that accounts for the differencs in periodicity. I’ve illustrated it, described it, documented it, and animated it for you, and all you come back with is conjecture. I have no need to argue with you about this, especially when you refuse to document anything. When I ask you for documentation, you provide excuses. Thanks. It’s nice to know the videos were effective. In the ENSO graphs you linked I can easily pick out the dry and wet times in central Texas. The drought of record was in the 1950’s and corresponds perfectly with La Nina conditions that persisted through most of that decade. The correlation is very good and reliable. If one wanted a record which goes back to before the industrial revolution which began in the 18th century I should think it might be dug up (maybe literally) in histories of central American and Southern Plains natives. One must go back to at least the 16th century or so to make any determination of whether or not industrialization had any significant effect on ENSO. The graph you produced has, since 1950, an easily seen trend of higher lows and and higher highs in SST which hasn’t abated. Any warmist will pounce on that and declare the correlation between industrial activity and less severe La Nina and more severe El Nino is not coincidental but rather causative. I quite agree with you that we can’t know for sure due to limited historical records but the data you produced for my edification only strengthened the case for anthropogenic influence given the trend during the past 60 years. A longer record is needed to clarify that as there are cycles of solar activity with periodicities measured in centuries, millenia, and possibly even longer periods. Now that I think about it the trend in higher lows and higher highs in ENSO since the 1950’s corresponds perfectly with the Modern Maximum in solar activity. I would bet that the correlation extends back as far as we can manage to find good proxies for ENSO. We have 400 years of sunspot records which are a good proxy for solar magnetic field strength. It seems to me some expert in native American history in what’s now northern Mexico and south central United States should be able to tell us about good and bad years for maize production in the region as the droughts that reliably come with La Nina would have pretty serious effects on the natives’ ability to feed themselves and thus be more likely to be talked about. You could probably even see it just by dating construction activities. In good times when there was plenty of food there’d be expansion of cities and construction of religious monuments and in lean years that activity would (literally and figuratively) dry up. One might even be able to obtain a good record going back thousands of years in the manner as construction expansion and contraction requires no written records but rather just carbon dating of artifacts and estimates of population during those times. Bingo! No need to continue past that point. This is the thermostat which limits how warm a water world can become without signifcant change in the heat source (the sun) which drives it. In basic terms we have a vertically oriented heat pump where the hot side is the ocean surface and the cold side is the cloud deck. The working fluid is water and the mechanism is the phase change between liquid and gas. It’s exactly the same principle used in artificial heat pumps that use working fluids such as freon. The extra energy on the hot side caused by non-condensing GHGs just makes the heat pump run faster and because the energy is transported from hot to cold side is latent heat of vaporization there’s no change in sensible temperature at the hot side. Evaporation, convection, and condensation rate rises instead. More work (physics definition of work) is being performed by the pump as the mass of water being lifted to the cloud deck increases. An even happier consequence of this is that the speed of horizontally oriented heat pump also increases and the surplus in hot side energy from GHGs results in no sensible temperature change on the hot side (tropics) but rather heat pump speed increases and in the horizontal pump the cold side is the surface at high latitudes. So we get more even heat distribution from low to high latitudes. We’ll see this effect in arctic sea ice extent. This is also thermostatically controlled because as the temperature differential between tropics and poles lessens there is less potential energy to drive the pump. As well, as sea ice increases or decreases this modulates the effectiveness of the polar radiator. As ice extent decreases the ability to dump ocean heat into the atmosphere and from there out to space increases and vice versa. This is physically how it must be on a water world. Two flies in the ointment are that the earth is 70% water world and GHGs interact quite differently with land surfaces which can and do have a surface temperature increase due to GHGs and the second fly in the ointment is water’s third phase – ice. If it ever gets cold enough for any reason for sea ice to increase in extent for long enough a positive feedback where sea ice breeds even more sea ice takes over. A water world is not a water world if the water’s surface is frozen. In that case the water cycle comes to a screeching halt and GHG influence becomes like over land except in this case the albedo of the “land” rises from the approximate 15% of dirt and rocks to the 90% of ice and snow which is what causes the positive feedback from increasing ice in the first place. At this point in the earth’s history it is in phase where it is dangerously cold as far as the biosphere is concerned teetering on the edge of being a water world and an ice world. Any sane informed person should be worried, if they worry at all, about cooling not warming. Warming is good. Cooling is bad. Which graph? I’ve posted and linked numerous. The graph you said was the commonly used 121 month rolling average. The others are too noisy to eyeball much of anything. In this it’s easy to see the drought of record in the 1950’s and every other drought in south central Texas as well as the floods. 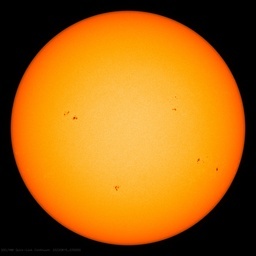 Since 1950 there is a series of 3-4 higher lows and 3-4 higher highs and, interestingly, since around 1950 sunspot number plateaued at the highest level in the 400 year record of sunspot counts (Modern Maximum) and didn’t begin to retreat until last year or year before into what appears to be shaping up as a grand minimum. Here’s a data base of the artificial lake I live on you can pull down and graph beginning in 1943. It was actually impounded almost a decade earlier but by 1943 was filled up to conservation pool level (681’MSL). About a 24 month rolling average I should think would suffice and should look strikingly like the pattern in the 121-month rolling average of ENSO SST you posted. La Nina and El Nino both wreak havoc here with drought and flood respectively but floods are easier to deal with than droughts. Optimal ENSO state is La Nada. Maize first domesticated 10,000 years ago in Mexico. This is probably ideal for estimating rainfall in the region of interest. It’s perfect for carbon dating and botanical experts very likely can tell from grain size or something like that whether it grew in a wet or dry year. As far as that goes it probably doesn’t have to be cultivated crops but any wild plants that exihibit characteristic changes according to rainfall. I bet the results of that where I live will quite accurately reflect ENSO back to the beginning of the Holocene interglacial. Sounds like an excellent area for a doctoral thesis for a University of Texas (Austin) post grad. Won’t even be any travel required. Bob, just noticed an error in the source data readme file. The fourth column is not NINO3.4, but either NINO 4, 3 or 1.2. The graph above shows one of those region warming since 1900 and will correct it later. p.s If you know which NINO region it is please let me know. True, but horizontal air movements take care of that since the oceans are the majority of the surface and remain in control. Not as big a problem as you would think because under cold dry air ice sublimates straight to vapour pretty fast and that involves even bigger energy transfers than liquid to vapour. Whoops, my previous post should omit part two. I slightly misread Dave’s point. I have no need to argue with you about this, especially when you refuse to document anything. When I ask you for documentation, you provide excuses. Hi Bob, good to hear from you again, you must have missed the links I provided again. Read back, I believe there is some good documentation. Nonsense. We’ve been through this time and again. The PDO is an aftereffect of ENSO, but it’s also influenced by Sea Level pressure and that accounts for the differencs in periodicity. I’ve illustrated it, described it, documented it, and animated it for you, and all you come back with is conjecture. The ENSO cycle is driven by more than one factor which makes lining up the PDO index a moving target. Sometimes the PDO leads ENSO and vice versa which means the case is not clear, there are a lot of examples where the warming water is in the Pacific NW before the onset of La Nina, I think my graph clearly shows that. The PDO index is also very closely correlated with the Pacific NW SST’s. as shown earlier. I have stated all along that ESNO might well be the driver of the PDO but maintain it is a useful tool for determining ENSO type/frequency and modulation. The important point is why do we have 30 year periods of one dominating the other… I think the jury is still out and am not convinced by your evidence. Perhaps we can discuss this in a calm and rational manner, Anthony permitting? The data incorrectly named NINO3.4 was actually NINO4 and this is shown below. The 121 month filter shows warming of 0.8c since early 1900’s. Nino3 is shown here and shows a warming since early 1900’s of about 0.6c. Nino1.2 is shown here and shows ironically a warming since 1900’s of about 1.2c. Finally Nino3.4 now corrected to the right data shows a warming since early 1900’s of about 0.8c. This data set shows quite clearly that since the 1900’s all ocean surface temperatures in ENSO regions (3.4), (3), (4) and (1.2) have warmed since the 1900’s. It does not support Bob’s view and others even that ENSO3.4 at least during this period has remained static. There are 3 phases, 2 warmer and one cooler, but overall SST’s have increased quite significantly at the same time of global SST’s. My plot uses the ENSO 3.4 data from HADSST and gets a similar result to you. An incease in Downward Shortwave Radiation from a La Nina event provides the fuel for the next El Nino. Example: Due to unusually strong trade winds over the western tropical Pacific, the 1995/96 La Nina provided a substantial increase in tropical Pacific OHC. Just wondering if this graph is correct, The area is over the whole pacific( should it be the warm pool only after La Nina?) and is 24S and 24S a reasonable area to consider or perhaps too large? The equatorial deep sea records taken at the equator and the 150m deep (taken over the area you use) at the BOM site do not seem to agree with your graph. Also when looking at 1996 Jan to Dec which is the main area of warm spike on your graph the ENSO 4.3 is actually in a slight El Nino state, the La Nina’s each side are not strong. Would it be worth while plotting the ENSO record over your graph and expanding it out to see the detail? Looking at the warm pool 120E-150E in early 1997 there is no heat to speak of which would be quite common at the early stage of a big El Nino. I do no see any evidence of a build up of warm pool heat after La Nina before the monster 97/98 El Nino unless we differ on the area of the warm pool? Your graph is not out by a year perhaps? Geoff Sharp says: “Just wondering if this graph is correct, The area is over the whole pacific( should it be the warm pool only after La Nina?) and is 24S and 24S a reasonable area to consider or perhaps too large? The equatorial deep sea records taken at the equator and the 150m deep (taken over the area you use) at the BOM site do not seem to agree with your graph. The two cross sections you linked were for months during the 1997/98 El Niño, not before it. Those are the early stages of that El Niño. The first Kelvin wave for the 1997/98 El Niño began carrying warm water east in late Dec 1996. Please present your graph of NINO3.4 SST anomalies based on HADSST2. You’ve used ERSST.v3b for your NINO region graphs, hence the trends. ERSST.v3b and HADISST (the latter of which I use for long-term SST data) both use EOF analysis to infill missing data. (ERSST.v3b also uses EOT, Empirical Orthogonal Teleconnections.) The major difference between the two is that HADISST reinserts the SST data from observations back into infilled areas while ERSST.v3b does not. So HADISST is more of an observations-based SST reconstruction while ERSST.v3b is more statistics based. The other point to consider is that the eastern equatorial Pacific is an area of the global oceans that is supplied primarily through upwelled waters. Other than during El Niño events, the surface waters of the equatorial Pacific are being fed by subsurface waters. Now a question for you: Would the temperatures of those subsurface waters feeding the equatorial Pacific have risen at rates that are comparable to or greater than the rise in global SST anomalies since 1900? Actually you misread Physics 101 not me. First of all the latent heat of fusion (ice melting) is far less than latent heat of vaporization. This was no misreading of anything I said it’s mistated fact of the physical properties of water. Secondly ice doesn’t sublimate quickly in “cold dry air”. Antarctica is the coldest driest place on the planet yet the tiny bit of precipitation it receives is still greater than the sublimation rate so new ice continues to form on the surface. Partially true. If it were completely true then continentality would not exist but continentality is a phenomenon that was first observed 200 years ago and still exists today. Seasonal temperature variation over continental interiors is far greater than same latitude over the ocean. Horizontal heat pumps lessen this to some extent but demonstrably do not eliminate it. The effect is primarily because the sun heats the ocean down to 30 meters or more and the heat cannot escape radiatively due to water’s almost complete opacity to LWIR. So basically the ocean gets heated to some depth at the speed of light but for that energy to escape from depth it must rely on convection which is nowhere the speed of light and at the surface it escapes primarily through evaporation not radiation or conduction. The net effect is the mixed layer of the ocean stores summertime insolation for many months and releases it in the winter when the air is drier and evaporation rate is commensurately higher. Land on the other hand only gets heated to a depth of about 1 meter and gives it up so quickly when the sun isn’t shining that you get large diurnal temperature variation to say nothing of being able to store it for months. Because land can be heated by downwelling LWIR and water cannot GHGs can and do effectively increase surface equilibrium temperature over land but not over water. My graph is correct, and so is the area for what I wish to present. And how are you comparing the values in a time-series graph of NODC OHC data for the tropical Pacific to the maps and subsurface vertical sections from BOM, visually? Have you considered downloading data and plotting it? Yes I did compare the areas visually on the BOM site but also plotted the NOAA data as a source of comparison. Thanks for supplying the graph, it is difficult to keep up with every graph on your blog. Your example of the La Nina warming before El Nino is not really repeated anywhere else in the record so it may be a cherry picking exercise. But the data around the 1997/98 El Nino does not follow the trends of previous El Nino events. I think the area and depth of the data sample chosen is too big to reinforce your statement. There could also be a bottom up factor when looking at depths of 700 meters. To properly illustrate your point it would be better to compare the warm pool data above New Guinea (not too deep) with the ENSO record? I guess it depends on what dataset you use. I was using the HadSST 3.4 but at worst the middle of 1996 could be described as neutral. The very weak La Nina’s each side seem incapable of building much heat but I am interested to see your data on the wind strength compared to other La Nina’s. The surface records certainly look very different to the NODC data. Below is the same graph showing the upward trend in SST. Again it might depend on the dataset chosen. The first link show the temps for the first months of 1997 which is pre El Nino according to HadSST, but lets go 8 & 4 months earlier again, it still doesnt show much heat with practically none around 120E? There is very little warm pool heat in the system according to the BOM records? If we go back before the big 82/83 El Nino I cant find any warm water at all in the warm pool. Maybe I am missing something. Now compare the beginning stages of the 2010 El Nino. I have seen the Rosby waves of warm water you describe and show but wonder if they dissipate or get fed away before a typical El Nino? Wrong link for the movie. This is the correct link. And that should be Kelvin wave not Rosby. ,,,showing that the “cool period” did have NINO3.4 SST anomalies that are slightly negative. The period average NINO3.4 SST anomalies for the latter period is dominated by satellite data (and TAO project buoys) so I’m not concerned about it being 0.05 deg C warmer than the average for the early period. Of the 400plus posts I’ve written, around 1% of them have to do with paleo-data. That’s the extent of my interest. Geoff Sharp says: “I guess it depends on what dataset you use. I was using the HadSST 3.4 but at worst the middle of 1996 could be described as neutral. The very weak La Nina’s each side seem incapable of building much heat but I am interested to see your data on the wind strength compared to other La Nina’s. The surface records certainly look very different to the NODC data. Below is the same graph showing the upward trend in SST. …has a linear trend since 1900 of -0.001 deg C per decade, agreeing with my earlier comment that the HADISST-based linear trend for NINO3.4 SST anomalies was flat. Here’s a link to an animation of Sea Level residuals from JPL. The Sea Level residuals are a good metric because they represent in part the temperature of the water column from surface to floor. We were discussing the 1997/98 El Niño, so, starting in late December 1996, there’s a Kelvin Wave that travels from west to east across the equatorial Pacific. Then about 3 months later, at the beginning of March 1997, a second and stronger Kelvin Wave flashes from west to east. Let the animation play through the 1997/98 El Niño. Then around March 1998, a Rossby wave forms at 10N in the eastern tropical Pacific. It carries the leftover warm water back to the western Pacific and adds to the excessive warming there that causes the upward shift in SST anomalies in the East Indian and West Pacific SST data. No, but you do concentrate on the post 1900 period which is only marginally longer and still well inside the industrial era. I focused on post 1950 for two reasons. First that is where climate boffins will focus and justify the focus because anthropogenic CO2 emission increased more rapidly then than in any earlier period. Then you have to get into how CO2’s effectiveness as a GHG diminishes as concentration increases and so the rise which began in the 18th century, even though the rise was exponential, created a linear increase in surface temperature and therefore there is nothing special in that regard about any given 50 year stretch of time since about 1750. This exponential loss of GHG power with increasing concentration is lost on the general public. The second reason is that there’s a correlation between solar activity and uptrend in ENSO baseline temperatures. 1950 – 2000 marks the Modern Maximum in solar activity. This is important because an active sun and higher temperatures are not lost on the general public. No matter what way you cut it you need ENSO data that predates the industrial revolution to begin to discount anthropogenic effect on them. The period 1900-present is not sufficient. Dave Springer: I understand your concern but I don’t share it. For decades, ENSO has been treated as noise, not a process. As you’re aware, many climate studies like Thompson et al (2008) treat it solely as a natural source additional year-to-year variability like stratospheric aerosols from explosive volcanic eruptions. The reason they treat it as noise is because researchers cannot find an anthropogenic component. For them now to come back and state that ENSO contributes significantly to long-term global surface temperature trend will undermine all of the studies that declared otherwise. Then they have to prove that the frequency and magnitude of ENSO events are impacted by anthropogenic greenhouse gases. In order to do that, they have to be able to duplicate the ENSO record and all of the coupled ocean-atmosphere processes that accompany it and that are responses to it. And after 30 years of climate modeling, they are far from doing that. I have provided documentation showing that La Nina does not load El Nino and shown in fact a cooler warm pool is the norm before El Nino. If you wish to ignore this then so be it, the chances of reasonable dialogue seem bleak. Your interpretation of the 1996 La Nina warming is very misplaced, the NODC data as specified earlier is too broad. If you look at the TOC data it is very clear that the 1996 warming is occurring in the Eastern Pacific with very little happening in the west that could be attributed to La Nina. I expect you to ignore this point. The trends between ERSST.v3b and HadSST are quite a difference. The problem being I don’t trust observations back into infilled areas where there is no data. This infill in data looks a poor method with GISS, not sure why this would be any better? This confirms your findings with ERSST v HadSST, where the 0.8c rise since 1900’s become little/no change with HadSST. This is a good question and would say greater due to sun’s radiation warming the subsurface quicker during La Ninas than the energy released via latent heat. I did not write this, so your attribution to me is incorrect. It appears nowhere else on this thread (or on the internet that I can find) so I will assume you wrote it. In reality, Geoff, you provided no documentation. I present data; you have presented conjecture based on incomplete observations, or based on your inability to read a graph, or on your inability to grasp the fact that data for different regions present different results. Numerous scientific papers have documented that La Niña recharges the warm water that’s discharged during an El Niño. Mysteriously, you are the only person I have run across who questions this well-established fact after being presented with data that confirms it. I present tropical Pacific OHC, including the latitudes of 20S-20N, in my graph, so that I can capture all of the warm water available to supply the El Niño events and all of the warm water that is recharged during a La Niña event. The TAO project graph that you link is for the latitudes of 5S-5N. I explained and illustrated above why those latitudes do not capture the Pacific Warm Pool. Your statement “the 1996 warming is occurring in the Eastern Pacific with very little happening in the west” proves to me that you do not understand the subject matter and that you, in fact, cannot read a graph or you elect to misrepresent what is being presented in the graph. The increase in Eastern Warm Water Volume in that graph is the 1997/98 El Niño, not a “1996 warming [that] is occurring in the Eastern Pacific.” The data in that graph starts in 1980. Count the hash marks from then. You’ll figure it out one day, but possibly not in my lifetime. Also, I have written posts about the TAO project data, and have included it in other posts. So I don’t ignore it. And one thing is for sure; I present it and represent it correctly, which are simple things that seem to elude you. I would also request that you stick to solar cycle issues since your arguments with me illustrate to those who bother to read your comments that you have little grasp of the process of ENSO. Also, in your recent comment, you have elected to incorrectly attribute a quote to me and have once again demonstrated your need to misrepresent data, (or your inability to read a graph). But you have made one thing very clear when you stated, “that the 1996 warming is occurring in the Eastern Pacific with very little happening in the west.” You have no understanding of the historical ENSO record—none. Good-bye, Geoff. I do not understand why you insist on destroying your own credibility. GISS infills land surface data gaps by extrapolating the data with their 1200km radius smoothing, where HADISST and ERSST.v3b are infilled using EOF analysis (and EOT for ERSST.v3b). That is, they take known SST patterns (like the PDO pattern in the North Pacific) and infill data based on those patterns. ERSST.v3b also uses known teleconnections for infilling. And again, HADISST reinserts the observations back into the data, while ERSST.v3b does not. On the other hand, HADSST2 and HADSST3 data (and CRUTEMP for land) is not infilled, and in some respects that’s a very “realistic” way to approach the problem because you can see exactly where the data is missing. Unfortunately, the gaps in the data make it difficult to work with, which is why I prefer an infilled version when dealing with long-term data. But I always keep in mind where the infilling takes place. Does this mean you would expect the eastern equatorial PacificSST anomalies to rise faster than Global SST anomalies? Before we go any further Bob, let me make one point very clear. I did not attribute any comment to you in the last post. The moderator changed my post by applying his own italics the first paragraph of my post. I have a copy of my original post saved on my browser. I can see that reasonable discourse with you will be impossible. As soon as I present any evidence or data disputing your views you will promptly go into hysterical school girl mode or some kind of melt down. Is not HadISST also based on a raft of untenable assumptions that are NOT a foundation of ERSSTv3b? Reinserting spatiotemporally biased original measurements can’t compensate for the mess created by bad HadISST assumptions. Geoff Sharp: Excuse me for assuming the error in attribution was your fault. But it had been in place for 2 hours before I replied, and you apparently had seen no need to correct the error. As usual, when you. Geoff, are incapable of responding to the message, you attempt to attack the messenger. You have attempted to mispresent data twice on this thread, but failed twice. You have attempted to illustrate your knowledge of ENSO but all you managed to do was cast a spotlight on your misunderstandings of it. I have been very patient with you, Geoff, but you apparently have no wish to push aside your misunderstandings. I can find no reason to continue to discuss ENSO with you since you make little effort to understand what is presented to you by me and others. SInce you act as a troll and appear to argue for argument’s sake, I will treat you as a troll and ignore you. Some interesting ideas, but how can you get anywhere trying to advance such ideas without acknowledging semi-annual oscillations? Hydrology is a function of absolutes, not anomalies. Some misunderstanding at play. Corbyn does NOT claim to use solar barycentric radial acceleration for terrestrial forecasting. Bob makes a salient point. We are warmer or colder because of weather (regardless of what drives it), not in spite of it. Therefore anthropogenic global warming must show up in weather pattern variability change that is outside the historical record of weather pattern variability. It has not. This is the null hypothesis and it has not been refuted. Which begs the question, why are we still even arguing over whether or not we have AGW? Time after time, the historical record of weather pattern variability shows either that we are not experiencing AGW or we cannot tell the difference between naturally forced and anthropogenically forced weather pattern variability and therefore AGW is harmless. Some of my posts were not published, but it seems you have an inside knowledge? Something smells around here. You have made a new friend Bob. You have attempted to illustrate your knowledge of ENSO but all you managed to do was cast a spotlight on your misunderstandings of it. I have been very patient with you, Geoff, but you apparently have no wish to push aside your misunderstandings. So the new boy upsets the self appointed guard? Your credibility is falling off you. But don’t worry I will probably be banned soon. But if not I have a challenge for you. Lets go head to head with Anthony as a moderator so we can deal with things in a scientific matter. A separate thread where we debate your theory on the La Nina heating that feeds El Nino? I have provided evidence that is in opposition, are you up to the task? Pamela Gray, if the solar cycle has any effect on Earth – ANY effect whatsoever – then changing nonstationary beats with natural internal oscillations are 100% generalizable. The generalizability INCLUDES natural oscillations with IRREGULAR periods. Hydrology is a function of absolutes, not anomalies, and EOP (which integrate climate GLOBALLY) are there arbiters of climate disputes. Observation suggests there’s a SIMPLE north/south-asymmetric terrestrial maritime-continent-contrast gas-pedal/brake effect on pole-equator heat/water cycling. For mechanistic nuts & bolts, see Leroux (1993), Sidorenkov (2003 & 2005), and LeMouel, Blanter, Shnirman, & Courtillot (2010). Thanks tallbloke, an easy escape for the man that has no email contact point on his blog? wow…an old comment with a reply. The comment below was not posted? I have never had my posts actually changed before publication by a mod on this site. The gesture may have been in good faith, but the ramifications show how important free speech must be protected. As usual, when you, Geoff, are incapable of responding to the message, you attempt to attack the messenger. You have attempted to misrepresent data twice on this thread, but failed twice. You have attempted to illustrate your knowledge of ENSO but all you managed to do was cast a spotlight on your misunderstandings of it. I have been very patient with you, Geoff, but you apparently have no wish to push aside your misunderstandings. I can find no reason to continue to discuss ENSO with you since you make little effort to understand what is presented to you by me and others. Since you act as a troll and appear to argue for argument’s sake, I will treat you as a troll and ignore you. What part of “the industrial revolution began in the 18th century” don’t you understand? I’ve stated several times now that looking at ENSO beginning in the 19th century (1871 in this case) is not outside the bounds of anthropogenic influence. Before you can even begin to say what’s within natural bounds and what isn’t you’re going to need at least a comparably long period of time before the industrial revolution as after to compare. For instance, if we mark the beginning of the industrial revolution as the year 1750, which is the commonly used date, then we would need ENSO data going back to the year 1500 so that we may compare 250 years of pre-anthropogenic ENSO (1500-1750) to 250 years of post-anthropogenic ENSO (1750-2000). I don’t know how to state this in any clearer way. The very limited observed data used by HADSST for infill is reflected by the coastline of North and South America. For example the recent La Nina and El Nino have coastal waters with similar SST’s. Only once moved well into ocean water this changes significantly. There are a couple or so exceptions with coastal waters around Mexico and especially around the tip of South America. Infilling from these limited locations into the NINO 3.4 area around 5k km2 from a much further distance doesn’t seem hardly better than 1200km smoothing of unknown data regions via GISS. Further detailed investigation using the unfilled data will be needed to deduce any further analysis. Still don’t know at this stage whether ERSST v HadSST represent the true NINO 3.4. Could be even somewhere inbetween these data sets, but don’t know at moment. The significant problem is that this automatically persumes that the difference in SST’s in two regions stays the same over hundreds of years from a recent ~50 year period. Initially at first during a positive PDO phase then the rate difference between the two declining until they reach similar anomalies. None of the alarmist positions suggest humans influence on climate with CO2 has occurred before the 1970’s, so going back many decades longer than this short period should be ample. No need therefore to go back further than the 1850’s. Even the data we have before the 1950’s is far from ideal with the the issues between ERSST v HadSST for example. Wouldn’t hurt going back further, but the data available would be even more coarse and limited. I provided the Wolter & Timlin (2011) link to supplement the earlier discussion, nothing more. We had already established there is no reliable data based on observations during the 18th Century, so to overcome your concerns we would have to rely on proxies, and I provided you with a link to a post that illustrated some of those proxies. Li et al use the North American Drought Atlas for their reconstruction, which is along the lines of your early comments. You can filter it any way you like. Curiously, their data, especially their Figure 2, appears to contradict their conclusion. HADSST2 and HADSST3 are not infilled. HADISST in infilled. The topic of that part of the discussion was temperature of the subsurface waters feeding the upwelling in the eastern equatorial Pacific. As the PDO is defined, it has nothing to do with them. Sorry, this was meant to be HADISST for infill. The graph above previously shown compared with ERSSTv3b was also HADISST based. I meant by positive PDO as a phase during a period with more frequent El Ninos. So my responce was to a period of more frequents El Nino’s and how the subsurface temperatures feeding the upwelling in the eastern Pacific would behave. eg. Therefore, Not initially (or very slightly) at first during a more frequent La Nina phase then the rate difference between the two increasing. How these variablely behave between different phases of the same kind will depend on any difference in solar activity and global cloud albedo.